Portable storage containers make your life easier in many ways. Whether you’re downsizing, waiting for your home to be built, or in need of temporary storage, they’re one of the most economical solutions on the market. And as it turns out, this is one of the best times of the year to take advantage of this service. Smooth Move wants you to know why winter is the perfect time to consider portable storage containers for rent. Even though our South Carolina winters are relatively mild, your patio furniture will probably suffer if it’s exposed to the elements. Putting your outdoor tables and chairs in a mobile storage container will keep them in good condition until spring rolls around. Do your kids have lots of summer toys that are only for outside use? Do you have pool floats that are on a break now that the weather’s turned colder? What about soccer goals and other sporting equipment? Local moving container companies can help you by taking these large or bulky items off your hands for the season. Freezing temperatures mean your car will have an iced-over windshield in the mornings. You know you could save time and frustration by parking in your garage, but there’s only one problem—there’s no room! Take time to clean out your garage now before the weather gets too cold. Put your extra belongings in portable storage containers and enjoy the convenience of covered parking. Ready to make your home less cluttered this winter? 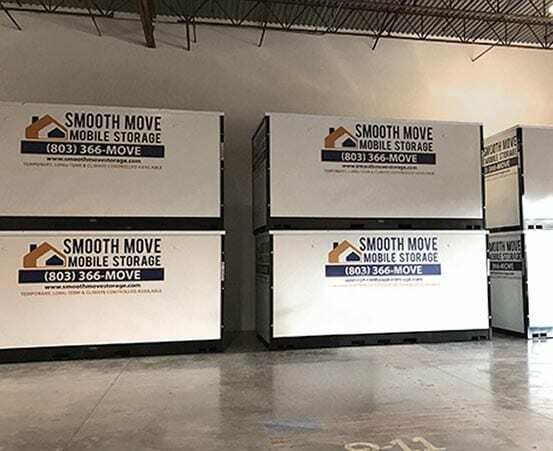 Call Smooth Move’s Rock Hill or Charleston locations to learn more about our portable storage containers and storage services.